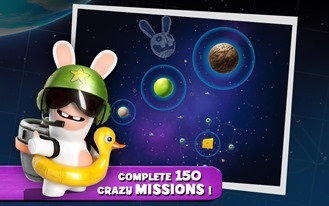 When the Rabbids first appeared in Rayman Raving Rabbids for the Wii back in 2006, they were hilarious and even somewhat charming. 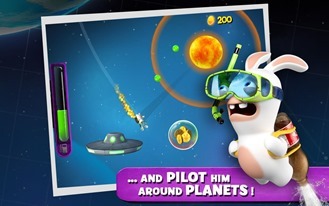 There wasn't any depth to them, but there wasn't any depth to the game itself, so it was a perfect fit. 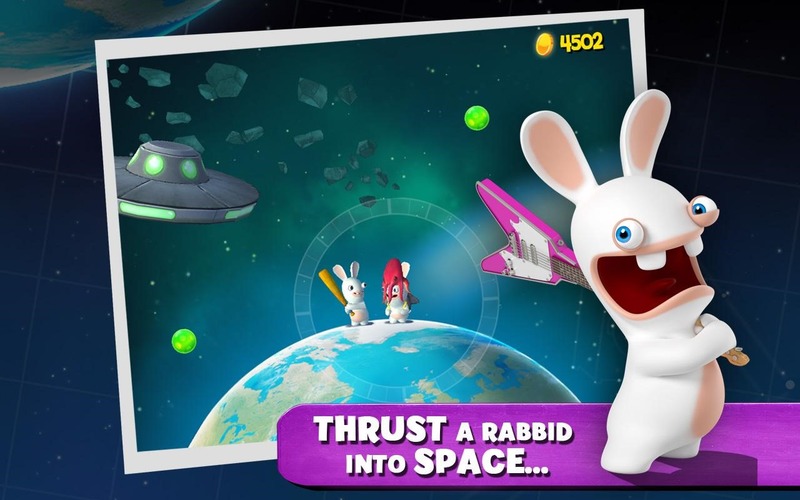 Those obnoxious bunnies went on to shed their affiliation with Rayman and have since appeared in more games than their limbless friend. 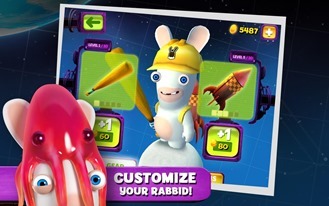 Now they're making their mobile debut with Rabbids Big Bang. 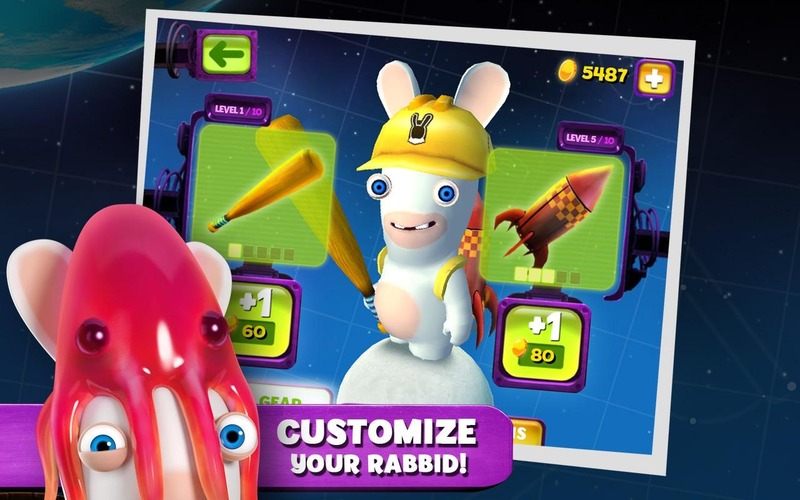 Rabbids Big Band - ugh, Big Gang, no, Big Bang is a physics-based game where you manipulate the now space-faring Rabbids with your finger tips, keeping them from launching off into the emptiness of space as they're drawn to planets Super Mario Galaxy-style. 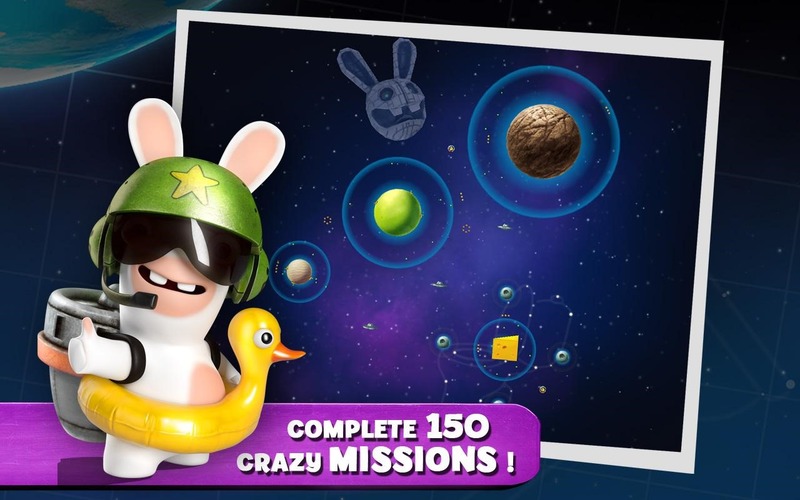 Likewise, you don't want them to smash into the planets, and you only have a limited amount of fuel to work with. I'm almost surprised it has taken this long for the Rabbids to make a mobile gaming appearance on Android. 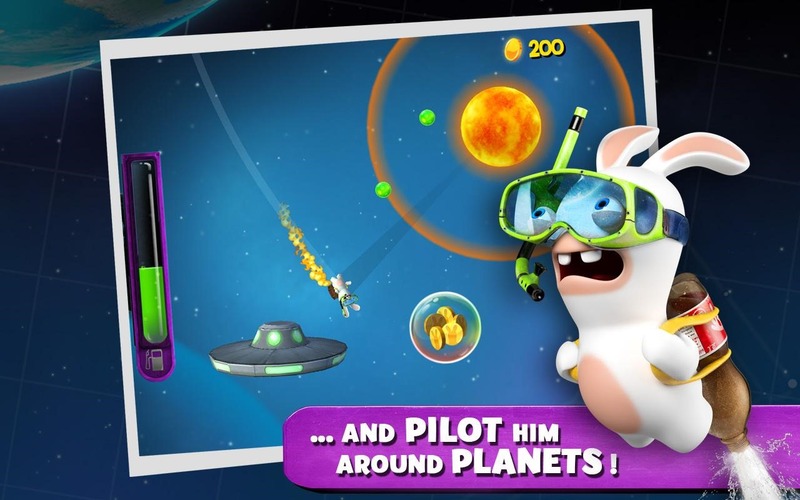 As a series born based on quirky minigames with unconventional controls, they're a seemingly perfect match for touch screen devices. 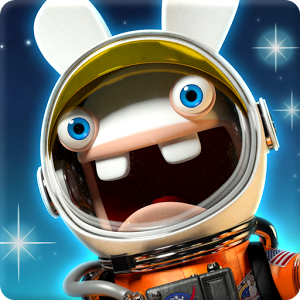 The Rabbids are loud, they're memorable, and they're great to experience in small doses. Just know that you will need 99 cents to do so.